Our 6 yard skips are available to customers in Leicestershire, Northamptonshire and Milton Keynes postcodes. 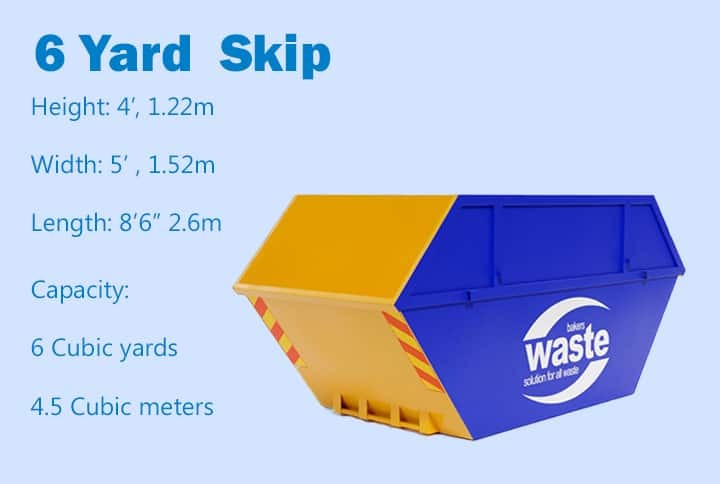 The ideal medium sized skip, it can be used for larger domestic refurbishment projects alongside commercial clear-outs, construction site work and much more. A skip left on the road requires a licence. We will organise this for you. For NN post codes, please allow up to 2 working days for this to process. The licence is for 7 days only & must be renewed 72 hours prior to the 7th day. Otherwise the skip will be collected automatically on the 7th day. Ideal for bulkier items, soil and brick disposal plus plenty more!